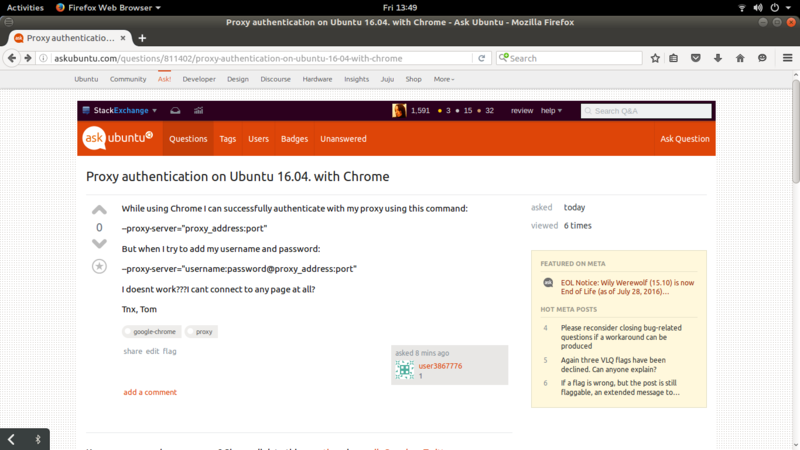 I think I've found a possible bug on AskUbuntu. Earlier, I was trying to edit this question. As you can see, the webpage looks fine and normal. But when I click on the edit link to edit it, I immediately get the message: "There is a pending suggested edit in the queue. Try again in a few minutes." ...the above mentioned message shows up on a completely blank page. No HTML, no website. I had to hit the back button in the browser in order to get back to "reality". I'm a bit puzzled. I don't even know what to ask. 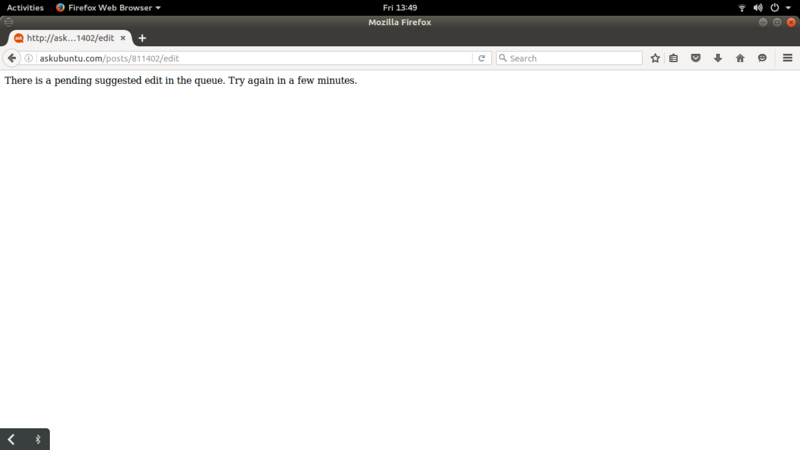 I guess that there is a slight technical problem with AskUbuntu website and I feel the need to report it. This problem may occur to other users too. This problem is a very rare case, which probably won't be addressed anytime soon as it would probably prove to be complicated. Normally, when you open a post that still has a pending suggested edit, the edit/improve this question button is completely removed. Although, instead of having a fix for this issue, a feature request to show a more "beautiful" layout for errors may prove to be more friendly. As these errors seem to have this blank page as the current default layout. Another similar example: Bug in the audit system? Both of you saw an issue with the post, so you wanted to improve it by editing it. That other person was slightly faster and had already submitted a pending edit suggestion. While you still have that page opened, and you still haven't refreshed, you clicked on the edit link. There is a pending suggested edit in the queue. Try again in a few minutes.